In the current issue of Choral Journal, we share our first installment of a regular column feature: a rotation of articles from ACDA’s Seven Standing Committees. This month, Lynn Brinckmeyer from the Advocacy & Collaboration Committee writes about Music Advocacy Challenges and Opportunities. An excerpt of her article follows below. You can read the rest in the current August 2018 issue of Choral Journal here. Much of the general public perceives music is an unnecessary frill and believes that studying music is not academically challenging for our young people and should be reserved for entertainment. Instructional time for music classes has been, and continues to be, reduced across the country. Some people believe that we are either born with musical talent or we are not and that it cannot be taught. There are administrators who think music classes are fine as long as they happen before or after regularly scheduled classes. Laws in some states allow non-certified teachers to teach music. There are many opportunities to advocate for our art. 1) We can educate decision makers and inform them, with researched-based data, about the benefits of music education for students, school communities, and the communities beyond the school. 2) Since there are already non-certified teachers (or those with alternative certification) teaching music to our students, we can provide materials and resources to assist and guide them. If we do not, their students are the ones who may tolerate marginal teaching. Our current political climate is becoming influenced more and more by our youth. Because education funding is expensive, some elected leaders focus more on saving money than respecting our youth and requiring certified teachers to be in the classrooms. We may be able to capitalize on this energetic youth movement and encourage congressional leaders to develop future legislation requiring certified educators to teach children and adolescents in all subjects. 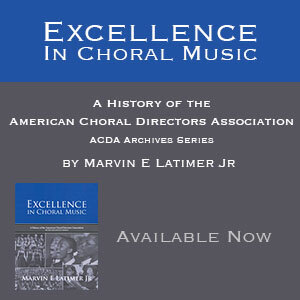 Read the rest of this issue online at acda.org/choraljournal. Click the yellow “Search Archives” button and choose August 2018 from the dropdown menu!